We have provided two methods below to help you determine the best size and fit for you. 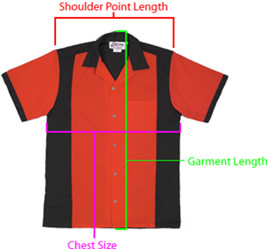 Actual garment measurements have been provided for each shirt so that you know the approximate dimensions of each garment. All styles are unisex fit. Step 1: Lay the buttoned shirt flat on a flat surface. Measure the chest 1" below the armhole.Double the measurement to account for both the front AND back. Step 2: Find the closest measurement on the chart. 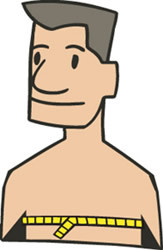 Step 1: If you do not already know your chest measurement, measure the fullest part of your chest. Step 2: If you like a close fit, add a minimum of 4 inches to your chest measurement and find a corresponding size in the charts below. For a looser fit, add up to 8 inches to your chest measurement and find a corresponding size in the charts below. Please use this size chart to get an idea for sizing custom printed T-shirts. This size chart reflects our most popular T-shirt; the Gildan G500 and youth G500B.